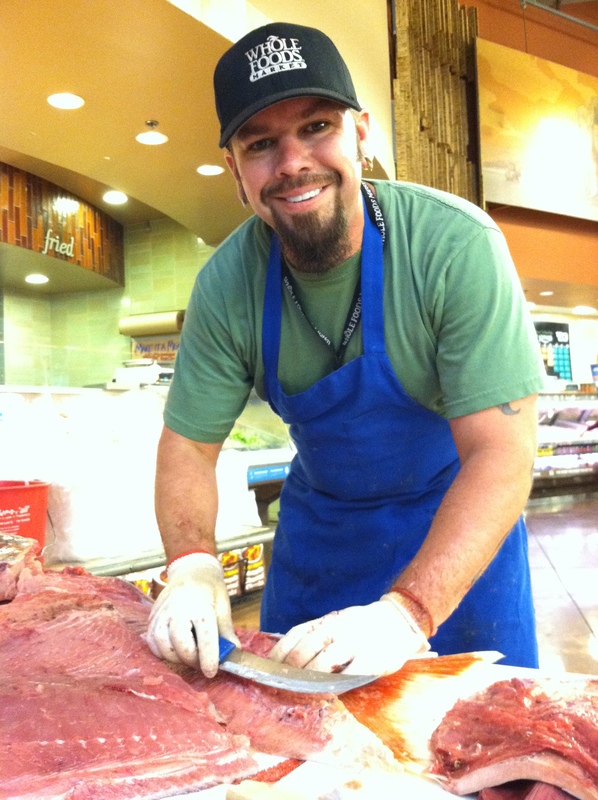 On the first and third Saturday’s, Whole Foods Market Tustin in The District at Tustin Legacy (in Irvine, California) demos the filleting of a freshly caught fish. The quantities differ depending on species but are typically large fish. They are caught using sustainable methods. In fact wild-caught seafood come from certified fisheries, deemed sustainable by MSC (the Marine Stewardship Council). 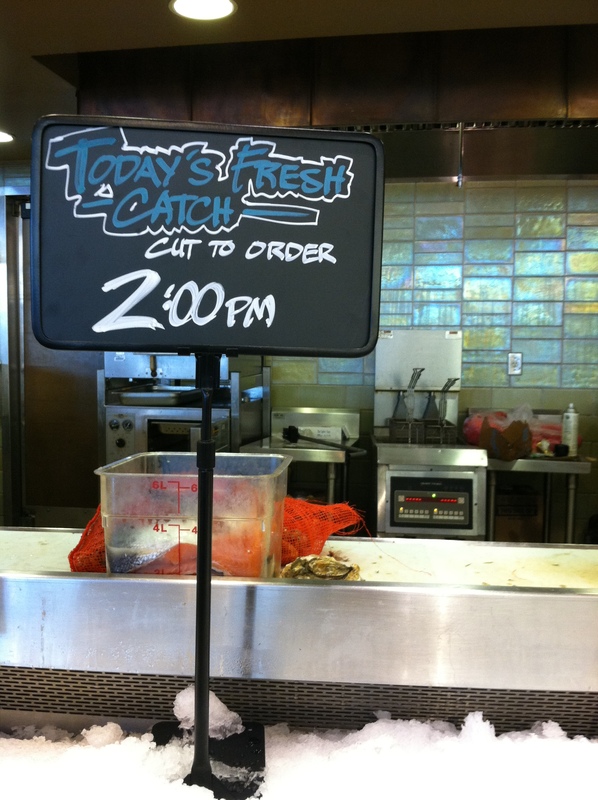 This has been put together by the seafood department (Rusty) and Mike Hack. They actually try to bring in the fish on Friday so that customers could preview it before deciding if they want to return on Saturday. 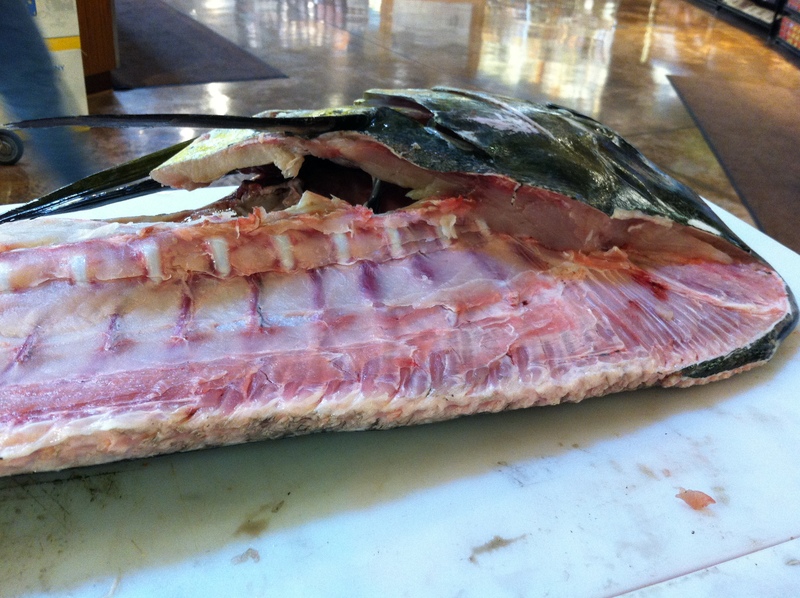 The first time I was invited to join, Rusty was cutting and filleting mahi-mahi from Ecuador. 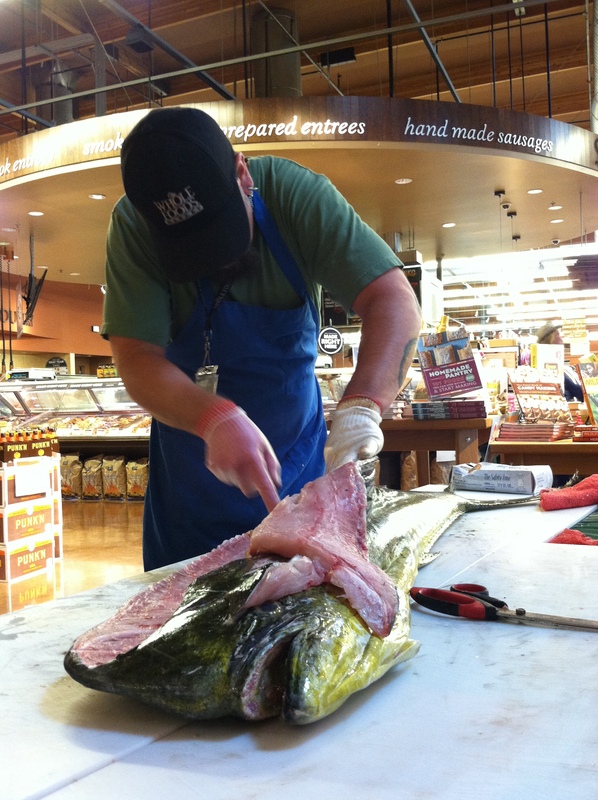 Notice how he is using his filet knife to cut as close to the mahi-mahi spine as possible; to maximize the yield. Two weeks later, he was working on an opah. It’s rare that a grocer will be able to supply whole, large, fish such as these. Therefore it is an absolute joy to be able to watch the fish be filet. Not only that but you can choose which part of the fish you’d to by. For example, if you wanted to make fish stock, you could purchase the fish collars at a cheaper price. 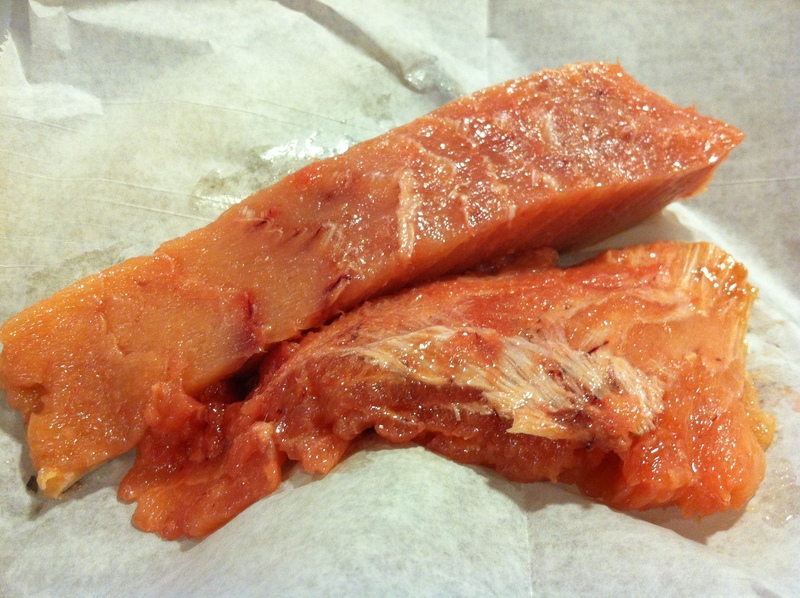 Shown here is the fish belly and the fish fat that is only attainable if the fish came in whole, which was the case for this moonfish. Otherwise, most large fish catches are filet and packaged once caught on the boat.